"The Vanimo airport development project will benefit the people of Vanimo and serve as the gateway for the country to Asia." 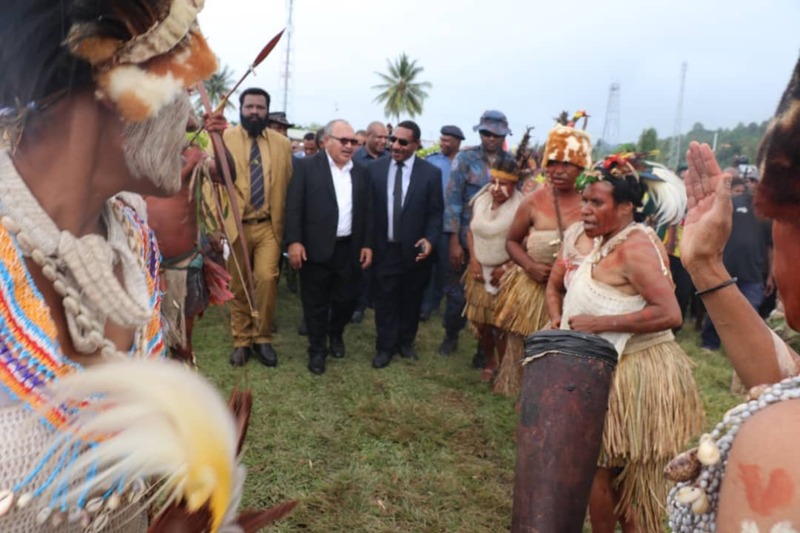 Prime Minister Peter O’Neill officially launched and performed the ground breaking of the building of a new two-story airport terminal in Vanimo and the extension of the Vanimo airport in West Sepik province today. 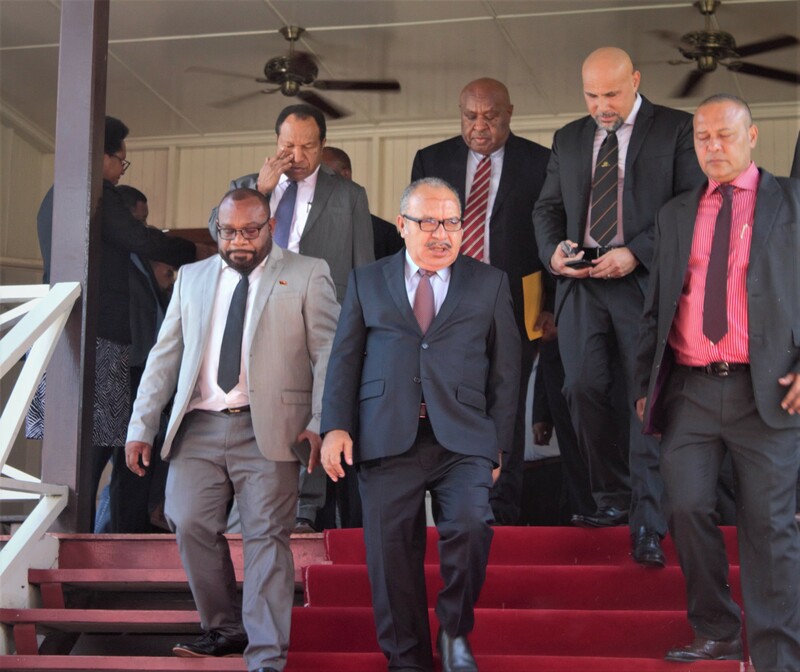 Mr O’Neill arrived in Vanimo with a delegation on Wednesday with a delegation of government ministers including technical officials and spent the two days in the province as part of his tour of Madang, Wewak and Vanimo. He said the Vanimo airport development project will benefit the people of Vanimo and serve as the gateway for the country to Asia. “Vanimo airport project will bring in a lot of development and economic benefit to the people and become our country’s gateway gate way to other destinations. “We want to make sure that the people of Vanimo in West Sepik and East Sepik and the country benefit by using the modern airport facilities in their travels. “That is why we are improving the capacity of the Vanimo airport so that bigger planes can come and land and take off. “That is why we want to make sure that the Vanimo airport is built quickly to an international standard and the roads linking the two East and West Sepik provinces must be upgraded. “The government knows that the people of West Sepik also need bridges and we are committed to having those projects looked at’’. “We will send a big government delegation with the Secretary for Works to look at the road network in Vanimo town to be upgraded. “The government has budgeted K5 million for the road from Waterrais to Wutung border area,’’ said Prime Minister O’Neill. He said this after a visit to the Wutung Border post in the morning also on Thursday 14th February 2019. 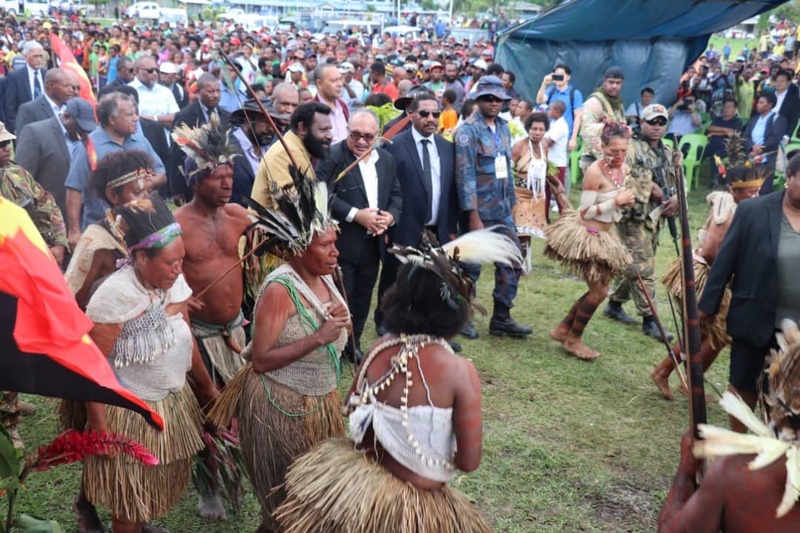 Prime Minister O’Neill also assured the people of Vanimo and West Sepik, especially the landowners of the Frieda River mine that the landowners and provincial governments interest will be given number one priority. “The Frieda River Mine project development has been with the government and developers for a long time and there has been lots of arguments and talks about the costs involved in getting the project off the ground’’. 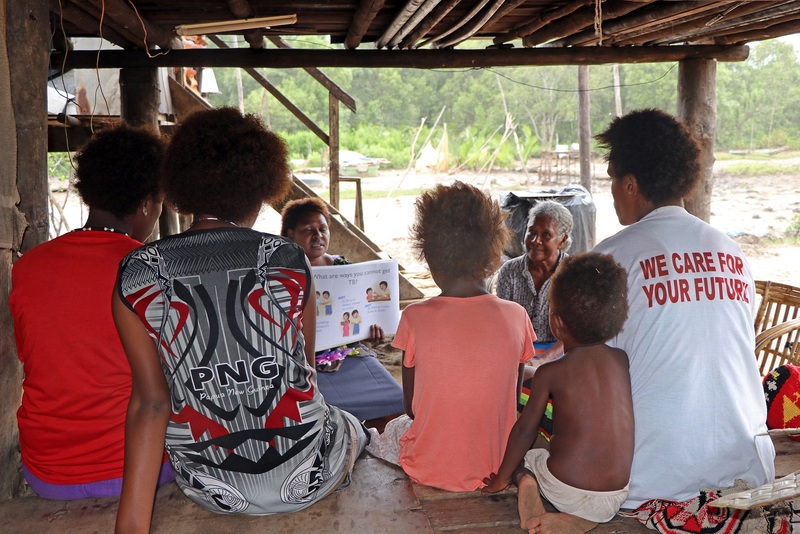 ‘’But let me tell the people of West Sepik that like what we did for the landowners of Ok Tedi Mine, and like what we are proposing to do with the renegotiation of the benefits for our people, we will do the same with Frieda river mine project’’. ‘’We will renegotiate the terms and conditions for the benefit our resource owners and provincial government. ‘’A lot of the shares from our resources have been taken out of the country and other people outside other than the landowners have benefited and we the people and landowners have not benefited and our government. ‘’We have put some of the developers of those resources on notice that we will renegotiate the terms and conditions of the landowner’s benefits and that the benefits must go to the people. ‘’There sources belong to our people and our people must benefit first and the investors get their share accordingly. 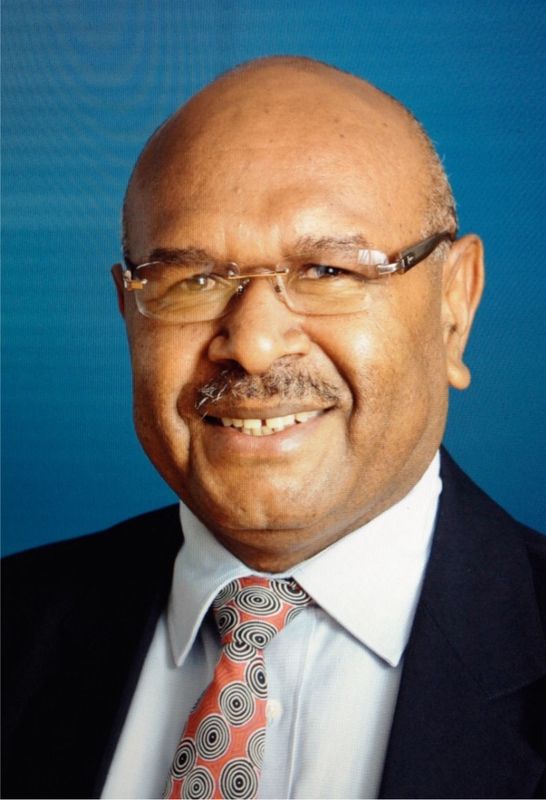 ‘’That is the same thing we are doing with the Wafi-Golpu mine in Morobe province and the 2nd PNG LNG project’’. ‘’It’s going to be a better deal, and it will be the deal that will set the bench mark for future projects in the country and I want to fully assure the people of Vanimo and West Sepik province that the same category and negotiation will happen to Frieda river mine. ‘’We will do a better deal for you so please, give us enough time and be patient with us as we will deliver you a better deal. The government has also announced that a Teachers College will built in Sandaun province. Prime Minister O’Neill also announced that the government will work on buildingthe wharves in Vanimo and Wewak. “The other projects in Vanimo that our Minister for National Planning is taking the lead in the design and scoping is the Vanimo wharf and also the Wewak wharf to be funded by our development partners from Korea. 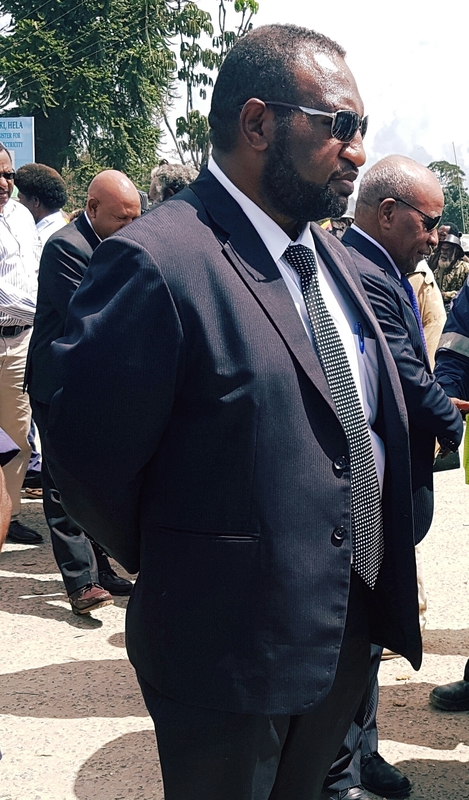 ‘’So that the Korean Government is going to partner our government and work closely with us to develop the two wharves in Vanimo and Wewak in the East and West Sepik provinces, he said. Prime Minister O’Neill also told the people that the government is using funds it has to distribute it evenly to throughout the country.